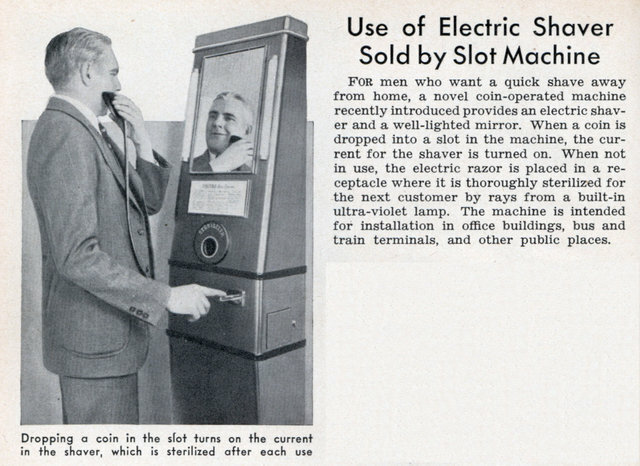 FOR men who want a quick shave away from home, a novel coin-operated machine recently introduced provides an electric shaver and a well-lighted mirror. When a coin is dropped into a slot in the machine, the current for the shaver is turned on. 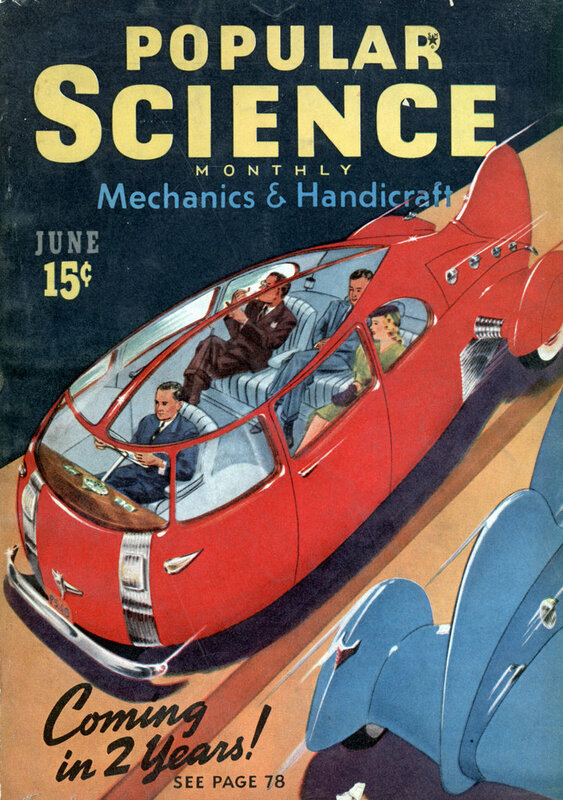 When not in use, the electric razor is placed in a receptacle where it is thoroughly sterilized for the next customer by rays from a built-in ultra-violet lamp. The machine is intended for installation in office buildings, bus and train terminals, and other public places. But it’s STERILIZED! By ULTRA-VIOLET RAYS!! Why all those hospitals stick to those inconvenient Autoclaves when they could be using Ultra-Violet Lamps, I don’t know!! And I’m sure those Ultra-Violet Rays would get rid of all that nasty hair, dead skin, blood from nicks, and so on, too! !